Many people have heard about a “prenup,” or a prenuptial agreement, on movies and TV shows; however, few people actually understand it. A prenuptial agreement is used to define the boundaries and rules of a marriage before the marriage is entered into. Often, it specifies special conditions that will play out should the marriage end. While many people try to avoid such an agreement before getting married because it is perceived that it can make the marriage bittersweet, it is an important part of marriage for many people. There is a wide variety of reasons that someone might be interested in getting a prenuptial agreement and everyone should at least ask themselves if it is right for them. Is There a Significant Wealth Difference Between the Two Partners? One of the most common reasons that an agreement is put in place is due to a difference in wealth between the two partners. For example, if someone inherited a lot of wealth, they could be worried that their partner could divorce them and receive a significant amount of their money in a divorce settlement. If they are interested in avoiding this scenario, they could write the circumstances into their prenuptial agreement. 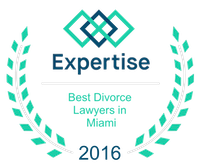 The agreement might state that if the marriage ends in divorce, the partners retain all assets that they started with. Does One of the Partners Have a High Debt Load? On the other hand, someone might be worried about entering into a marriage when their partner has a significant amount of debt. They might not want to get shouldered with this debt should the marriage end in divorce. In this case, they could also write in the agreement that their partner has to keep all of their debt should the marriage end in divorce. This could be an important factor for a person in relieving the stress caused by financial issues when entering into marriage, that could actually help with the success of it. These are only a couple of the many factors that someone could be considering before marriage. It is normal for someone to have lots of questions about a prenuptial agreement before entering into one. Anyone who is considering such an agreement should consider reaching out to an experienced attorney for assistance. It is critical that someone handle these agreements with care and tact to avoid any complications with either the agreement or their marriage.